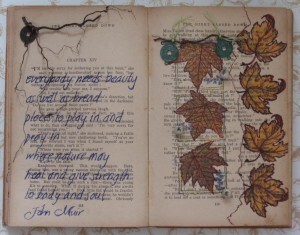 You can click on the pictures for a close up, yes those are real branches on the page. Two Peas stamping Earth Day Challenge click here to see more. Holy MOLEY!!! 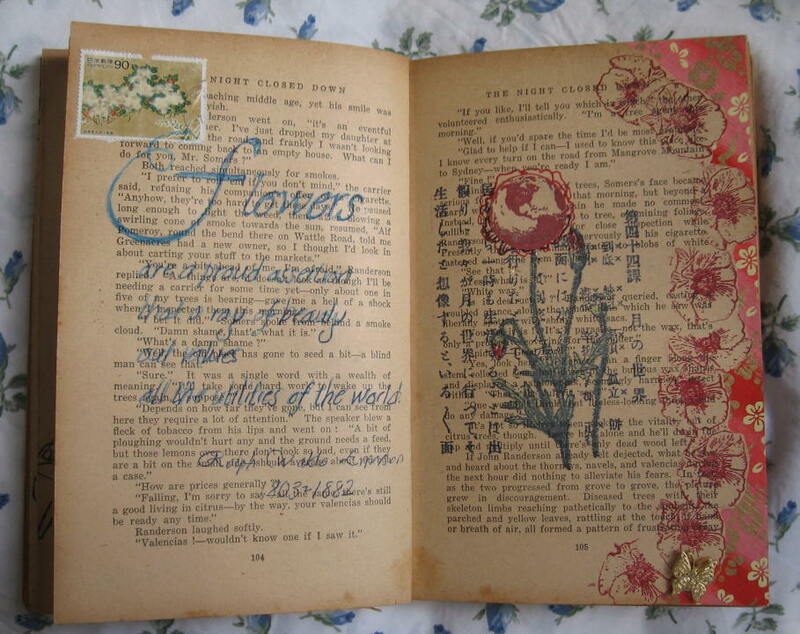 !<BR/>Pearl your work is so BEAUTIFUL and original.<BR/>I love the little girl with the turned book page…OMGoodness<BR/>thank you for stopping by my blog and im sure ill be visiting yours more often. Oh wow!!! Your work is really lovely! Awesome!!! This is beautiful. I love all the pages. Great pages. I really like how you let the book itself shine through, yet offer up your own message as well. Yay Earth Day! Your book looks great. WOW!!! This is so beautiful!! oh these look gorgeous. Ive just landed here for the first time, must go look around some more. These are REALLY beautiful! !Perfect for THE DAY.<BR/>D. 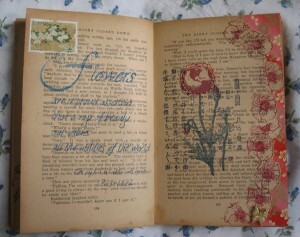 Very pretty.I have been toying with the idea of an altered book but sadly I do not have the time right now! I love your butterfly work below too! Have a great week!